The mTV-100 is a powerful HMI, except that it does not include a screen. Instead, an HDMI output port allows you to connect any HDMI screen of any size, with or without touch functionality. 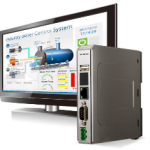 cMT-iM21 is a new generation touchscreen monitor exclusively designed for industrial applications. 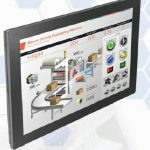 Equipped with HDMI video input, Full HD display and 21.5” large screen, this touchscreen monitor product is able to display UI and large amount of data with stunning clarity.